The Solar StikHybrid Power System (HPS) 7000 is a rugged, scalable, high-efficiency, hybrid power system that supplies clean, continuous power to critical loads in remote locations where there is no grid and running a fuel-powered generator 24/7 is not an option. 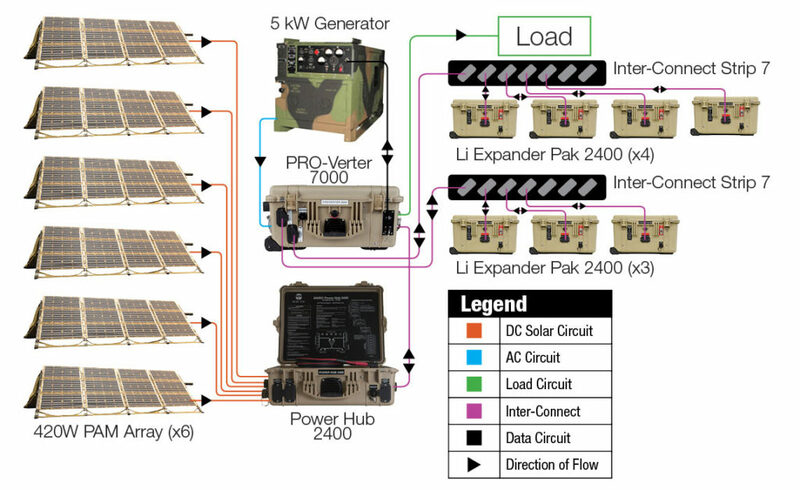 The battery (24VDC Li Expander Pak 2400 in the HPS) is the heart of a Solar Stik hybrid power system—the battery supports the load. Unregulated power produced by the photovoltaic (PV) panels is processed by the 24VDC Power Hub, then stored in the batteries. 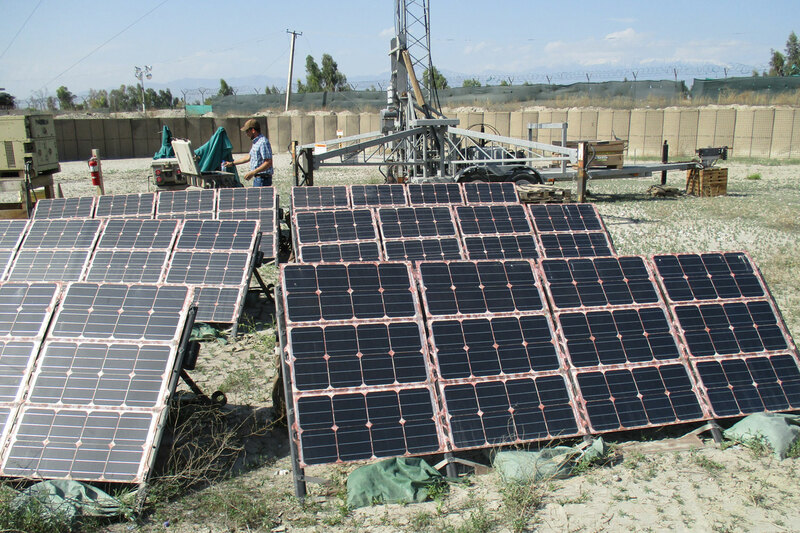 PV panels generate most of the power to support the load—the generator runs only when necessary. Power management and distribution are handled primarily by the two PRO-Verters. Each has a unique function: the 24VDC PRO-Verter 7000 supports 120 VAC loads, and the 24VDC PRO-Verter 5000 supports 240 VAC loads. Both PRO-Verters are connected to the 5 kW generator and charge the Li Expander Paks, but in this configuration, only the PRO-Verter 7000 manages the generator, remotely starting and stopping it when required. 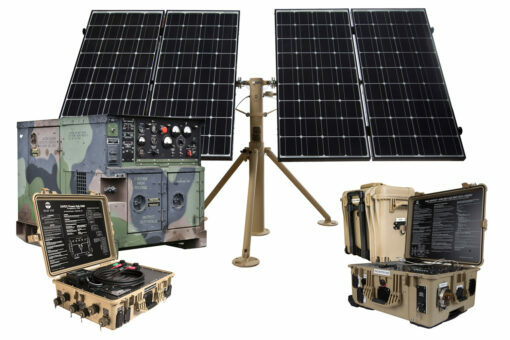 The Solar Stik hybrid power systems are designed and sized to meet the requirements of any application. The scalable, open architecture of the system provides the ability to modify the system quickly and easily if the application changes. The HPS supplies 5000 watts of continuous power with the ability to support surge loads of up to 9000 watts.